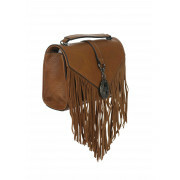 Feel funky with fringing with this stunning Xti Crossbody bag in a smooth tan faux leather. 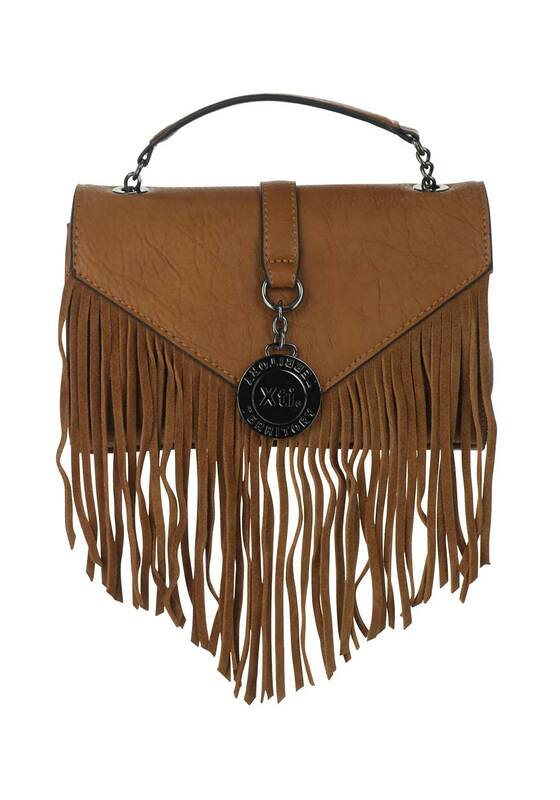 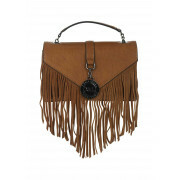 Styled with western inspired fringing, a hanging charm and a chunky chain Crossbody strap. 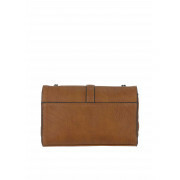 A compact inside is perfect for the essentials when on the run.